The treadmill has become an integral part of our everyday training program, with up to 20 horses a day using the equipment. 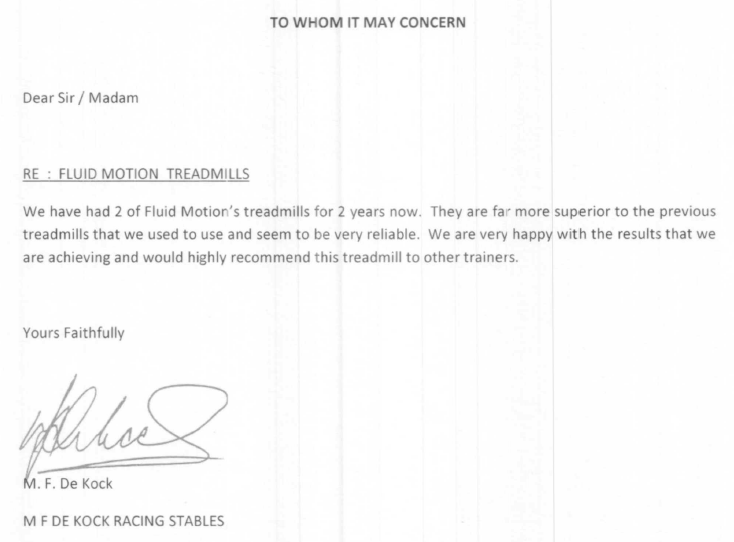 Horses with soundness issues, those coming back from a break or operations; as well as those in more traditional training all use the treadmill. The ability to easily tailor exercise to the individual horse, for duration, speed and slope makes it easy to incorporate into the training routine. The treadmill has a computerised operating system that is easy to use and enables accurate individual information to be collected and stored. The cushioned air bags reduce the noise considerably from other treadmills on the market. We consider the treadmill a worthwhile investment.